Capacity.. 1 300 000 litres. To feel the true spirit of Ardbeg, visit the Distillery. Stand on the grassy mound that rises between the buildings and the sea. The sight of the pagoda roofs crowning white-washed walls before you; the sound of waves surging onto the rocks behind you; the smell of malt and seaspray all around you. Breathe it in. This is pure Islay. 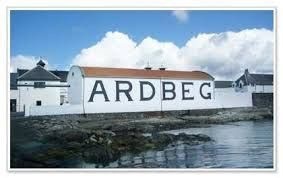 Where Ardbeg is, has been and always will be made by people genuinely devoted to producing The Ultimate Islay Malt. Ardbeg the whisky is Ardbeg the place, in all its raw natural beauty.